You can get free Internet service at home at almost every location in the USA. Sounds unbelievable, but it is true. The American government and various Non-Government Organizations, schools and educational institutes are working hard to ensure your family, and you get online at the earliest. They are doing so by providing free Internet access at home in various ways. The reason is simple: Americans are shocked by the fact that 11 percent of their compatriots do not have an Internet connection. About 11 percent of America’s adult population does not have access to the Internet, says a report released by Pew Research Center in March 2018. The figure indicates digital divide is not a phenomenon limited to developing or underdeveloped nations. Researches by various organizations paint a grimmer picture: about 60 million urban Americans do not have access to the free net because they cannot afford broadband bills ranging between US$10 and US$50 per month. The Pew report states, households with income less US$30,000 per year do not subscribe to broadband. There are several other reasons such as age, education and geographical locations for which people do not subscribe to the Internet. Other organizations claim, 34 percent of American households do not have an Internet connection. However, if you want Internet at home but cannot afford the bills, there is nothing to worry about. Here are 10 ways to get free Internet at home. And these are legit ways to get free Internet at home. A lot of methods by which you can get free Internet are not advertised. Quite likely, you are unaware these ways exist. Check them out and find whether your area is covered by any of these free Internet services. Educational Broadband Service is an initiative by Federal Communications Commission (FCC), communities and educational institutes to provide free Internet at home. Under this system, lots of schools, colleges, and universities are providing free WI-FI to students. EBS came into being after American schools found that nearly five million families with school-going students cannot get free WI-FI anywhere. Hence, they tapped into underutilized resources of free Internet Services Providers to give free connectivity at home. A lot of EBS projects are now ongoing across the USA, and your residential area could be on the map. Getting a starter plan is not a permanent solution to how to get free Internet at home? But it does serve the purpose for a limited period. A lot of free Internet Service Providers (ISPs) allow you to test their service for periods ranging between 10 days to one month for free. You do not have to pay money to these ISPs. Nor do you need to sign complicated contracts. If you are satisfied with the service, you can subscribe. When your free trial ends, service crew of the ISP will take away their stuff such as a router Or your password will be deactivated if you are connecting through their hotspot. Most cable TV operators around the US operate on a system called Triple Play. It is a system that uses Fiber Optic cable to broadcast massive data volumes to people, such as high definition videos and movies. In recent years, cable TV operators are also offering broadband Internet through this system. Find if your cable TV operator also offers broadband Internet through Triple Play. You can get free home Internet along with your TV channel packages from the cable provider. If using Direct-To-Home satellite TV, it is advisable to switch to cable TV. Generally, a cable TV operator will ask payment for high-speed service but provide basic access free. EveryoneOn is a non-profit program launched to provide basic Internet connectivity to American households, especially those with school going kids. EveryoneOn works in collaboration with major ISPs, educational institutes, and communities to bridge America’s digital divide. The organization has several programs that offer free Internet service at home as well as very low priced broadband service. There are various schemes offered by EveryoneOn. All Free ISP is not a scam of a fake website. You can find excellent information about the free Internet for home through this website. All Free ISP carries a list of free and cheap Internet providers in every state of the US. Using their online search, you can find organizations or ISPs that offer free Internet without cable or phone line. The list of free ISPs is regularly updated. Coupon Tools has a feature called Wi-Fi marketing. This mean, you can install a Wi-Fi from Coupon Tools and promote coupons and special offers from a neighborhood business. Coupon Tools offers a 15-day free trial and sets up a Wi-Fi at your location. There are multiple options available. By installing a Coupon Tools Wi-Fi, you can also launch a small home-based business to push coupons and special offers of businesses for a free and earn money. This FreedomPop is a California-based company that offers free Internet for light users. FreedomPop sells smart-phones and Subscriber Identity Module (SIM) cards that come packed with various features. The company charges a one-time activation fee of US$9.99. Once your SIM card is activated, you get free Internet access at Fourth Generation (4G) speeds. There are various options to choose from while subscribing for FreedomPop: you can buy a smart-phone, SIM pack or simply 4G connection. However, light usage means the volume of data you can access daily is limited. Most municipalities in the US provide something called Metropolitan Area Network (MAN) or simply Municipal Wi-Fi. Access to MAN is free. Internet access speed, however, depending upon your location and distance from the Hotspot. A lot of municipalities in America already offer free Internet access while others are launching similar services soon. If you are taking a telecommute job in America, your employer will pay for a high-speed Internet connection at home. You can avail the benefit in two ways- by asking the employer to arrange installation through an ISP or footing the monthly bill. Under US labor laws, Labor Code 2802 makes it compulsory for employers to pay remote work-related expenses to telecommuters. However, there are no court verdicts that enforce the law. Hence, you may have to bargain with the employer to avail free Wi-Fi at home. Several communities in the US are building Wi-Fi networks with donations from the public and expertise from volunteers. The objective of such community WiFi is to bridge the digital divide in America by providing free Internet access to households. You can check with the local community or municipal body if there is a community Wi-Fi operating in your area. According to the Pew Research study, 22 percent of America’s rural population does not have Internet connectivity. Adults that have Higher Secondary or lower education constitute the bulk of people- 35 percent- that do not have access to the Internet. Senior citizens, especially those above 65 years are averse to using the Internet and do not subscribe despite having high purchasing power. If you are affected by the digital divide in the US, there is nothing to worry about. 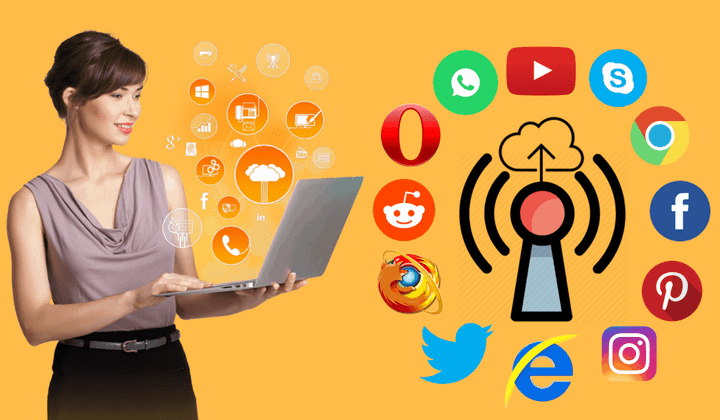 Efforts are underway to get you connected to the Internet free of cost. Often, people who cannot afford Internet are unaware of free Wi-Fi and hotspots in their areas. This is because free Internet services are not advertised. You can check any of these 10 ways to get free Internet at home. A lot of American schools give scholarships that cover expenses of Internet access. Internet is a very helpful thing nowdays it helps alot in everything. Internet is really a big help nowadays. I want to know how can I avail this connection?